On another note, I hope everyone had a lovely Fourth of July. Mine was filled with good food and good company, which I believe is the definition of a good time. 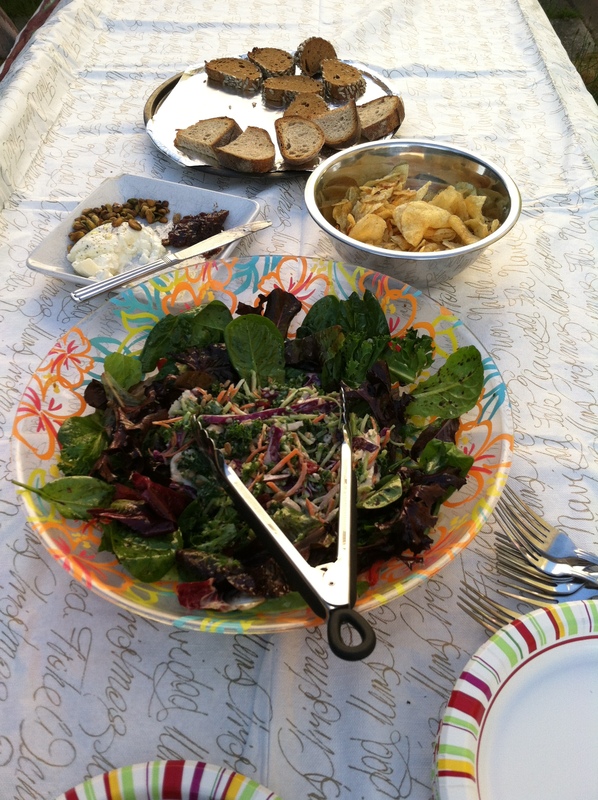 I attended, possibly the best family barbecue ever, with the most wholesome and elaborate dishes. For appetizers/dessert: buratta with fig jam and toasted pistachios. Also, some patriotic berries. A fabulous salad. Yes, that is a Christmas tablecloth. It added to the festive feel of the occasion. 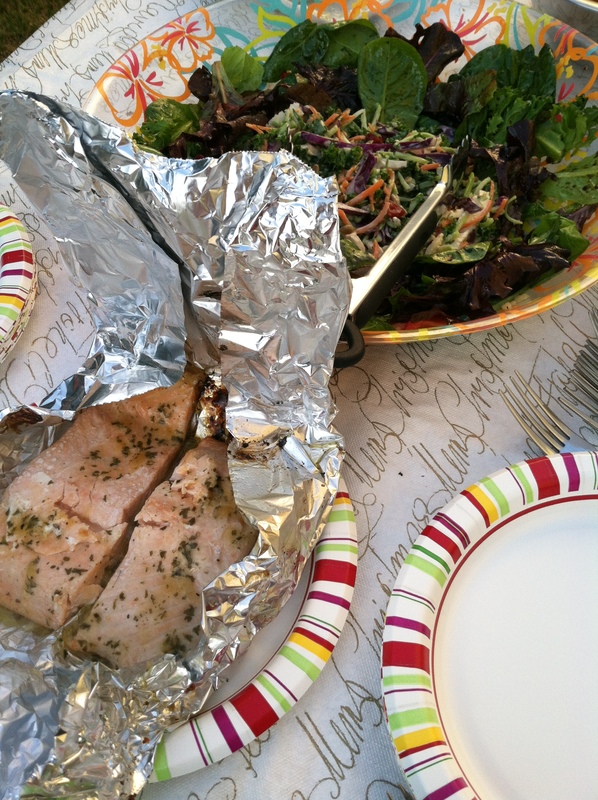 Apparently, cooking salmon in a foil packet on the grill is the easiest and quickest thing ever. Who knew? I surely didn’t. Now all I need is a yard. And a grill…and salmon. It’s Rachel! 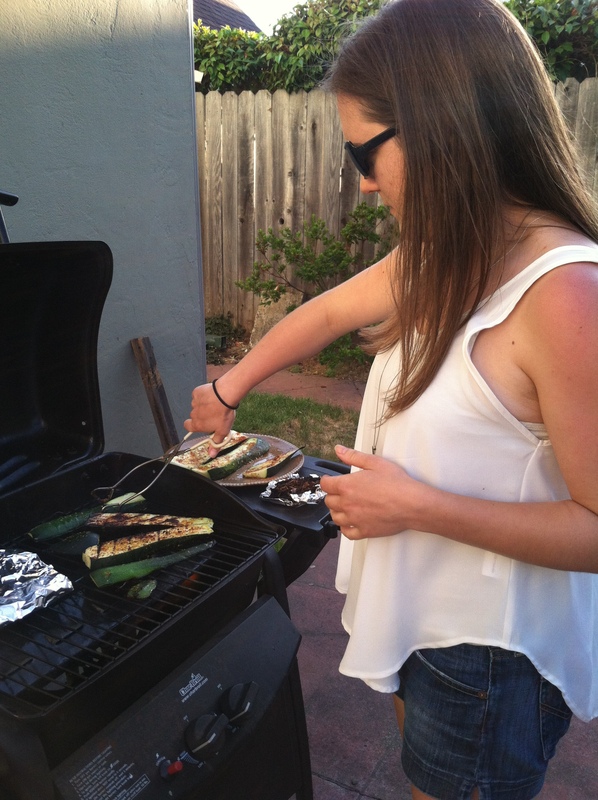 Grilling up seasoned zucchini straight from the garden. It doesn’t get any better. 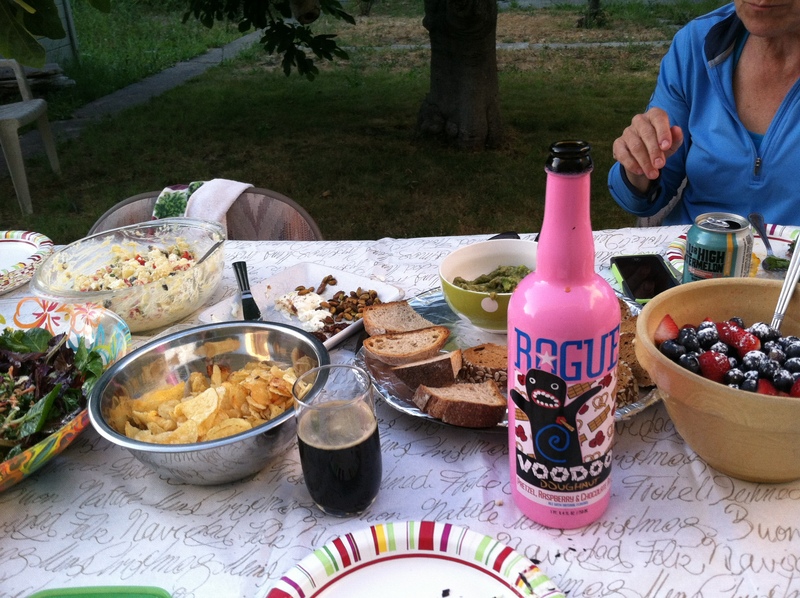 Also part of the dessert was Voodoo Doughnut beer. 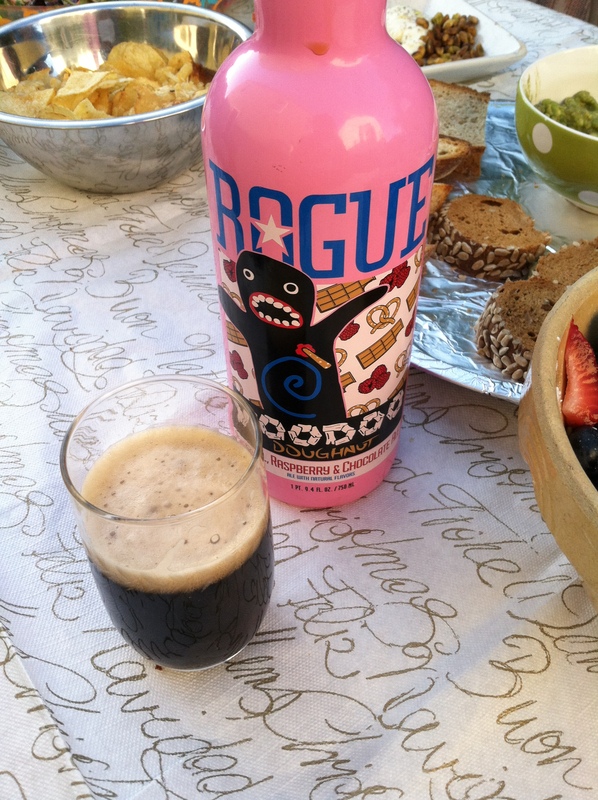 It smelled like chocolate-covered pretzels and tasted of cocoa and raspberries. I highly recommend. 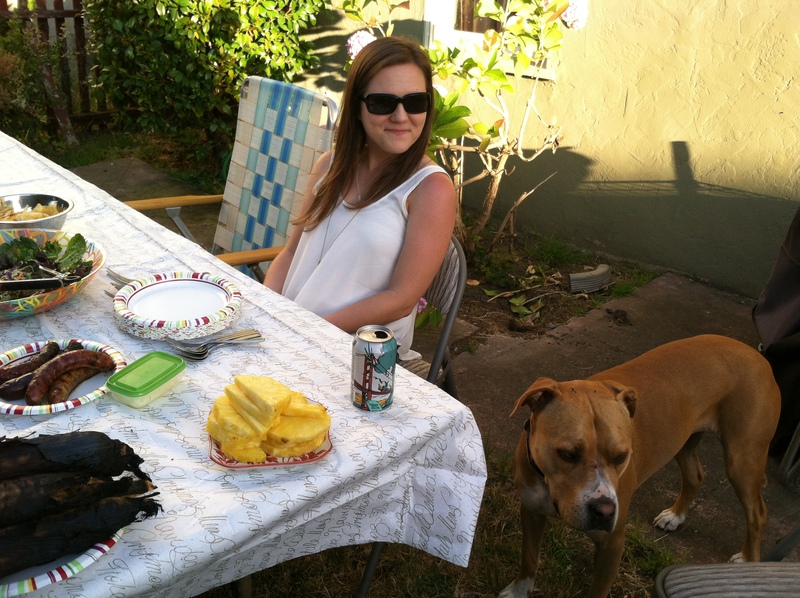 Pineapple, corn, and my favorite dog companion: Maddie! If you hold still enough, she will lick you to death. 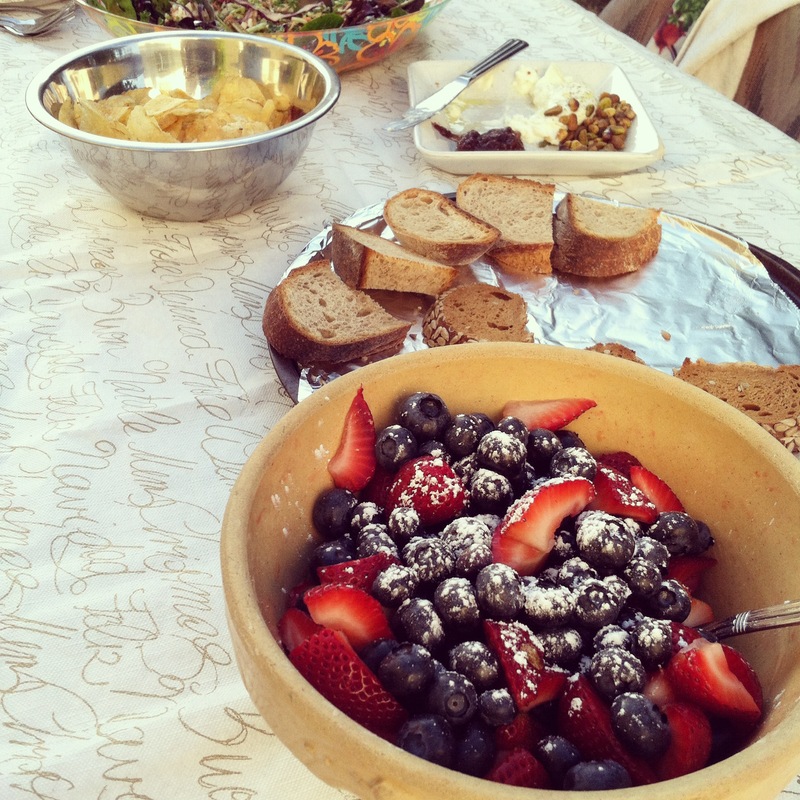 After filling our bellies with delicious food, we marched down the street to the annual July 4th block party. Being the first block party I’ve ever attended, I was quite impressed. Aside from the fantastic band, beautiful decorations, and coolers of elaborate cocktails, there were more than a few fireworks. 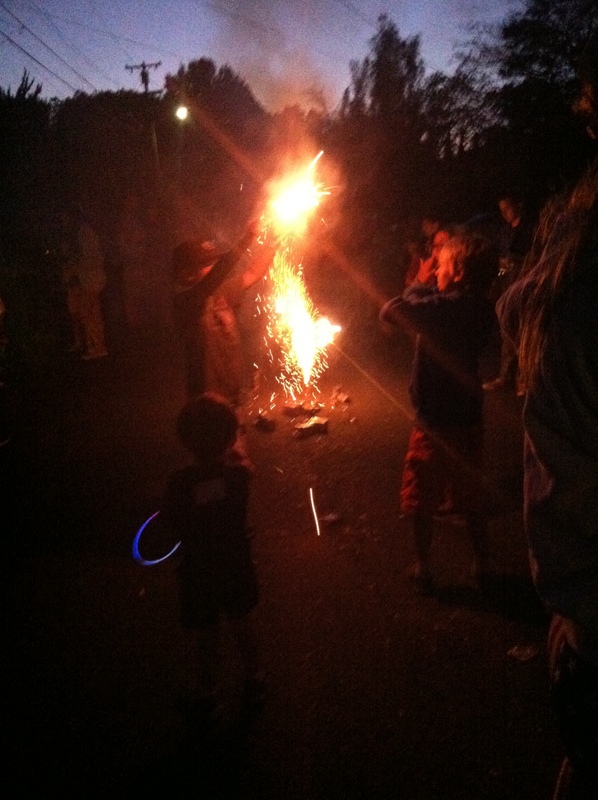 Despite the questionable practice of letting small children play with explosives, it was a really entertaining evening. This, of course, might have been helped by the concoction of blueberry lemonade, mint, and vodka I was drinking. I finally decided to call it a night after some movie watching, and realizing that what I thought was a sprig of mint in my cup was, in actuality, grass. Good times. Hope everyone’s July is off to a good start!